Talking Food at 1900 is back! This time we are ecstatic to welcome Chef Sarah Steffan, Garden Master, Mike Washburn, and Master Gardener, John Coykendall from BLACKBERRY FARM. Together we will learn about the art saving seeds, cooking with heirloom ingredients, and the importance of preserving traditional farming techniques and uses. On Saturday, September 7th, please join us for an enlighting talk on all things seed saving and Blackberry Farm life with our special guests, Chef Steffan, Washburn, and Coykendall. The talk will be moderated by travel/food photographer and writer, Bonjwing Lee. Please reserve your spot for this unique talk, which is free and open to the public - space is limited. On Sunday, September 8th, we excitedly welcome Chefs Steffan into The Restaurant at 1900 kitchen, to work with our stellar team, led by Executive Chef Linda Duerr. Together they will create what’s to be a very cool TRA1900 x Blackberry Farm menu. TALKING FOOD AT 1900 is a 3-part series at 1900 aimed to engage, challenge and educate on a variety of topics in the food world. From line cook to pastry chef to sous chef, Sarah Steffan has held just about every title in the kitchen along the way to becoming the Executive Chef of the Dogwood at Blackberry Farm®. With more than 10 years of experience, Steffan opened the Dogwood at Blackberry Farm® for dinner in April 2015. Steffan grew up on a farm milking goats, planting gardens, and cooking. She learned how to cook using fresh, local, and sustainable ingredients. Steffan’s philosophy of cooking marries perfectly with Blackberry Farm’s Foothills Cuisine®. Prior to Blackberry Farm, Steffan spent many years working in other Relais & Châteaux kitchens including The Point and Fearrington House. A graduate of Paul Smith’s College in New York, Steffan also studied abroad at Le Cordon Bleu in Paris. Inspired by his farming mentors, Michael Washburn found his way to the garden while living in Cincinnati in 2005. Michael’s passion for gardening led him to study environmental anthropology at Northern Kentucky University, followed by a graduate degree in agronomy with an emphasis in soil science. With more than 15 years of experience in restaurants and gardening, Michael has honed in on his relationships with chefs and farmers. He loves providing chefs and artisans with produce that is unavailable elsewhere. His real passion in the garden comes from the challenge of farming with nature, not against it, and relying on the “old ways” of farming. In Blackberry Farm’s gardens, Michael is responsible for coordinating planting schemes that provide produce that chefs and artisans need as well as managing the day-to-day operations. He also enjoys his time with guests teaching about sustainable farming methods. Walking amongst stalks of corn and rows of pumpkins, Master Gardener John Coykendall explored the world of gardening at an early age with his grandfather, Congressman John Jennings. Coykendall always knew he wanted to create and care for some of the finest produce in the world. Traveling through Europe and across the United States, Coykendall has collected not only great secrets but also seeds from the most successful gardens in the world. 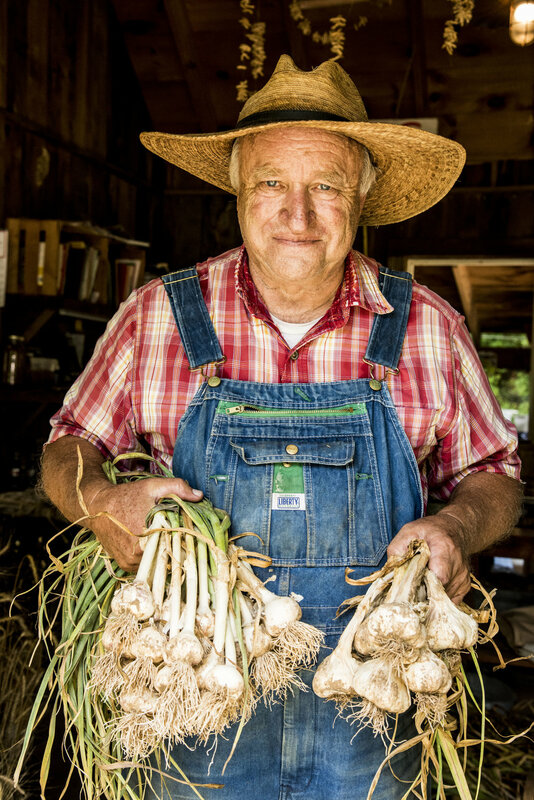 He brings the knowledge of decades in the garden, along with centuries old heirloom seeds that he has collected from the region and all over the world.